Talon Metals Corp. ("Talon" or the "Company") (TSX: TLO) is pleased to provide an update on the Tamarack Nickel-Copper-PGE project ("Tamarack Project"), located in Minnesota, USA. The Tamarack Project comprises the Tamarack North Project and the Tamarack South Project. Talon owns an 18.45% interest in the Tamarack Project. 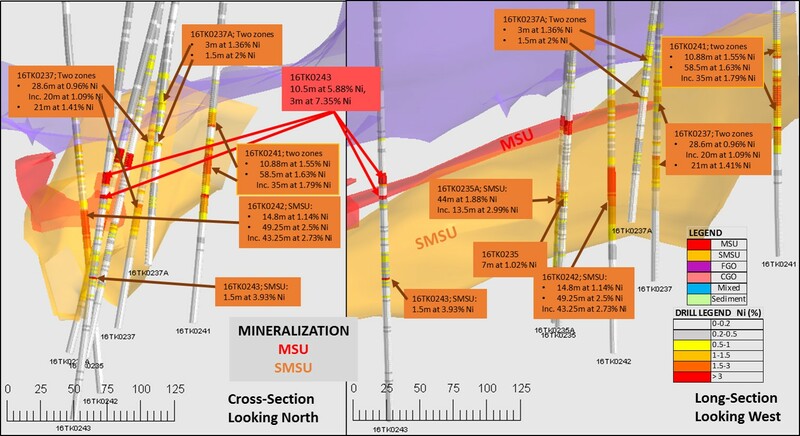 In addition, new intersections of Semi-Massive Sulphide Unit ("SMSU") and wide zones of disseminated mineralization in the 138 Zone to the south of the Tamarack Zone continue to increase the scale of mineralisation in this important area (Figure 1). 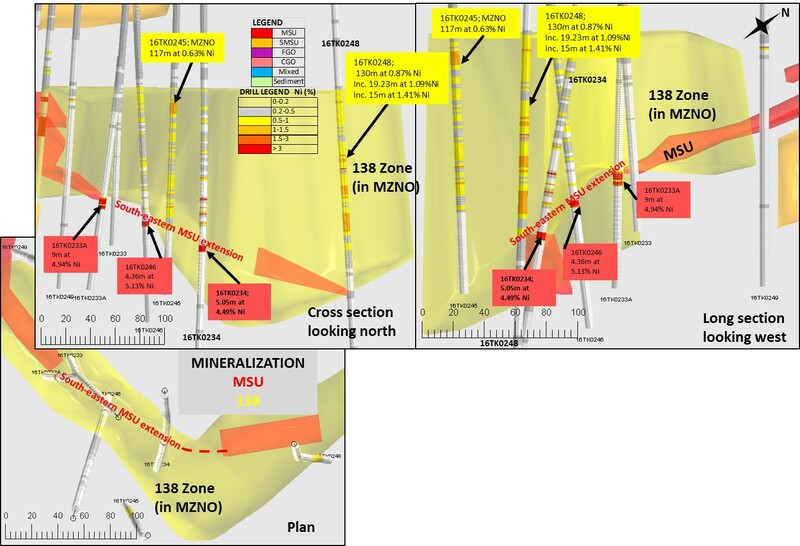 Figure 1: Long section of the Tamarack Zone looking west (Plan in insert) showing the mineralized zones of the MSU, SMSU and 138 Zone (NI 43-101 compliant); Shows drill localities for 2016 drill holes and summary of assay results reported or referred to in this Press Release (see Table 2 for detailed results). 3 meters grading 7.35% Ni, 2.91% Cu, 1.31 g/t PGE's and 0.14 g/t Au, from 435.3 to 438.3 meters depth, representing the lower zone. The intersections support the continuity of the northeastern MSU trend with a step-out of approximately 35 meters to the north from drill hole 14TK0211 (see Talon press release dated December 1, 2014). The potential continuity of the eastern flank of the MSU is now supported by drill holes 14TK0211, 14TK0213, 16TK0243, 16TK0220A, 16TK0235 and 16TK0235A over a distance of approximately 150 meters (see Talon press releases dated June 28, 2016 and July 13, 2016) which are located to the north of 16TK0243 (see Figure 2). Figure 2: Plan and long section of the northern Tamarack Zone showing the potential continuity of the MSU, along the northeastern trend, similar to the MSU along the northwestern trend. The locality of drill hole 16TK0243 provides an important link for the continuity of MSU between drill hole 14TK0211 in the south and drill holes 16TK0220A, 16TK0235 and 16TK0235A to the northeast. Drill hole 16TK0246 intersected MMS of 4.36 meters grading 5.13% Ni, 2.12% Cu, 1.17 g.t PGE's and 0.29 g/t Au from a depth of 529 to 533.36 meters. This intersection has also demonstrated the potential continuity of the MSU by more than 140 metres to the south-east towards the MSU that was defined below the 138 Zone in the Company's National Instrument 43-101 ("NI 43-101"), updated resource estimate, which was issued on April 8, 2015 (see Figure 3). Drill hole 16TK0246 was drilled approximately 45 meters to the south-east of drill hole 16TK0233A (see Talon press release dated September 2, 2016). This intersection confirms the continuation of the MSU towards drill hole 16TK0234 which is located approximately 50 meters to the southeast (see Talon press release dated June 2, 2016). Figure 3: Plan, cross and long section of the southern Tamarack Zone showing the potential continuity of the MSU, along the southeastern trend, with the locality of 16TK0246 providing an important link between 14TK0233A to the north and 16TK0234 to the south. 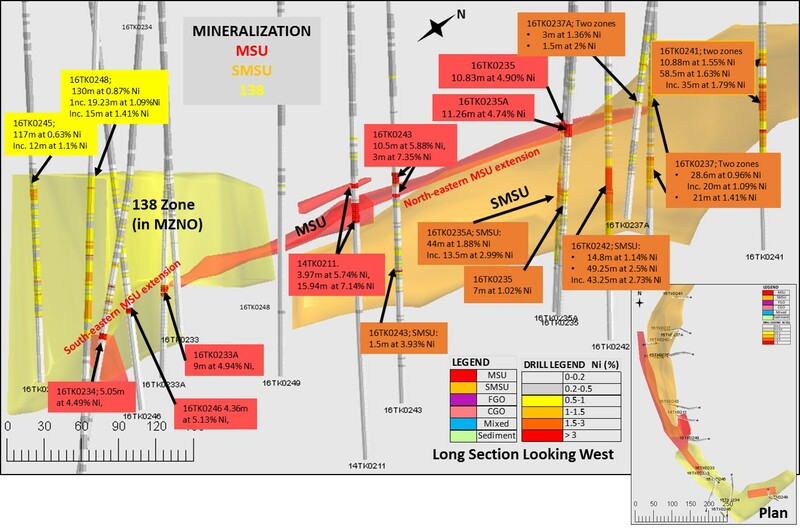 Drill hole 16TK0243 also intersected the edge of the SMSU below the MSU, with 1.5 meters grading 3.93% Ni, 0.63% Cu, 2.21 g/t PGE's and 0.80 g/t Au. Figure 4: Cross and long section of the northern Tamarack Zone showing the intersections of SMSU, specifically the localities of drill holes 16TK0237, 16TK0237A, 16TK0241, 16TK0242 and 16TK0243 (refer to Table 2 for more detailed assays). Drill hole 16TK0245, with 117 meters grading 0.63% Ni, 0.46% Cu, 0.37 g/t PGE's and 0.12 g/t Au. The additional mineralization extends the previously defined limits of the 138 Zone to the southwest with drill hole 16TK0245 and southeast with drill hole 16TK0248 (see Figure 5). 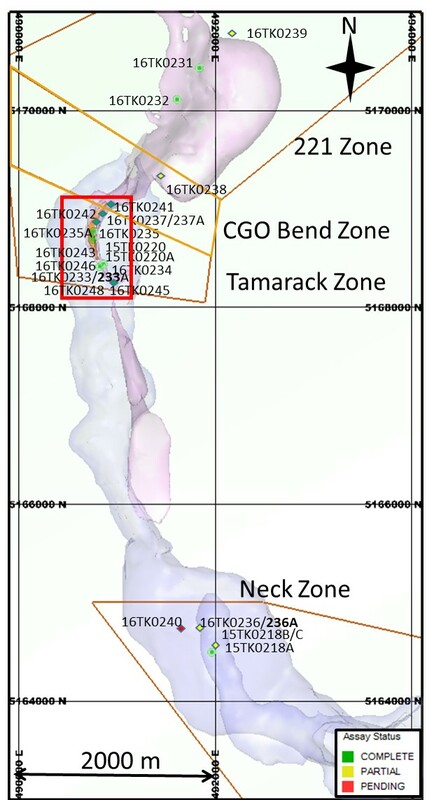 Figure 5: Plan, cross and long section of the southern Tamarack Zone showing the localities and thick mineralized zones of drill holes 16TK0245 and 16TK0248 and their potential for extending the 138 Zone mineralization to the southwest and southeast. 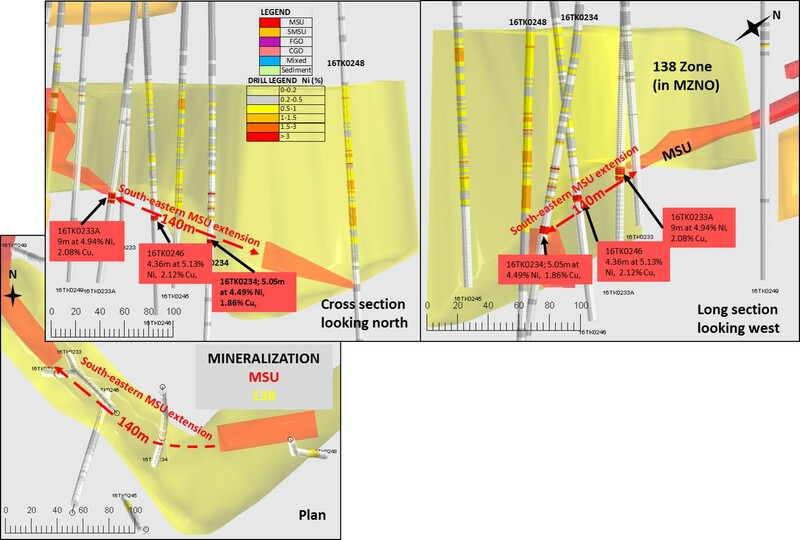 "We are pleased to announce another set of remarkable results, which has been the theme throughout the summer 2016 exploration program at the Tamarack and 138 Zones, with drill hole 16TK0243, located at the eastern flank of the Tamarack Zone, intercepting 10.5 meters of MSU/MMS (grading 5.88% Ni, 2.32% Cu, 0.93 g/t PGE's and 0.09 g/t Au) and an additional 3 meters of MSU/MMS (grading 7.35% Ni, 2.91% Cu, 1.31 g/t PGE's and 0.14 g/t Au). In addition, the MMS intercept of 4.36 meters (grading 5.13% Ni, 2.12% Cu, 1.17 g.t PGE's and 0.29 g/t Au) in drill hole 16TK0246, located to the southeast of the Tamarack Zone, is further, strong indication that the Tamarack MSU may extend to the MSU previously intercepted in drill hole 13TK0171 below the138-Zone" said Henri van Rooyen, CEO of Talon. "We look forward to updating shareholders on the remaining results from the summer exploration program. These will include results from the CGO-Bend Zone, the 221 Zone and the Neck Zone." Locate areas of massive sulphide pooling along the FGO keel in the Neck Zone (drill holes 16TK0236, 16TK0236A and 16TK0240). The summer drilling has concluded for the season and the remaining results will be released as soon as they are received, analyzed and approved. Figure 6: Localities of drill holes, specifically highlighting in red the Tamarack Zone where results are reported. The localities and status of assay results for other drill holes from the winter and summer programs are also shown. Please see the technical report entitled "First Independent Technical Report on the Tamarack North Project, Tamarack, Minnesota" dated October 6, 2014 (the "Tamarack North Technical Report") prepared by independent "Qualified Persons" Brian Thomas (P. Geo) of Golder, Paul Palmer (P. Eng) of Golder and Manochehr Oliazadeh Khorakchy (P. Eng) of Hatch Ltd. for information on the QA/QC, analytical and testing procedures employed by Kennecott at the Tamarack Project. 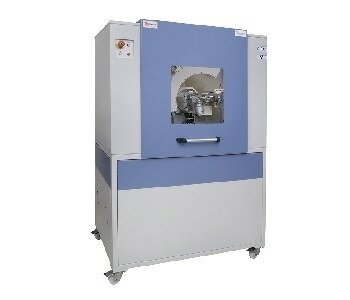 Copies are available on the Company's website (www.talonmetals.com) or on SEDAR at (www.sedar.com). The laboratory used by Kennecott is ALS Minerals who is independent of Kennecott and the Company. Lengths are drill intersections and not necessarily true widths. True widths cannot be consistently calculated for comparison purposes between holes because of the irregular shapes of the mineralized zones. 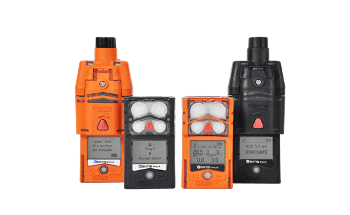 Drill intersections have been independently selected by Talon. Drill composites have been independently calculated by Talon. The geological interpretations in this news release are solely those of the Company. The locations and distances highlighted on all maps in this news release are approximate. James McDonald, Vice President, Resource Geology of Talon is a Qualified Person within the meaning of NI 43-101. 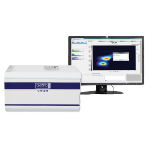 Mr. McDonald is satisfied that the analytical and testing procedures used are standard industry operating procedures and methodologies, and he has reviewed, approved and verified the technical information disclosed in this news release, including sampling, analytical and test data underlying the technical information.